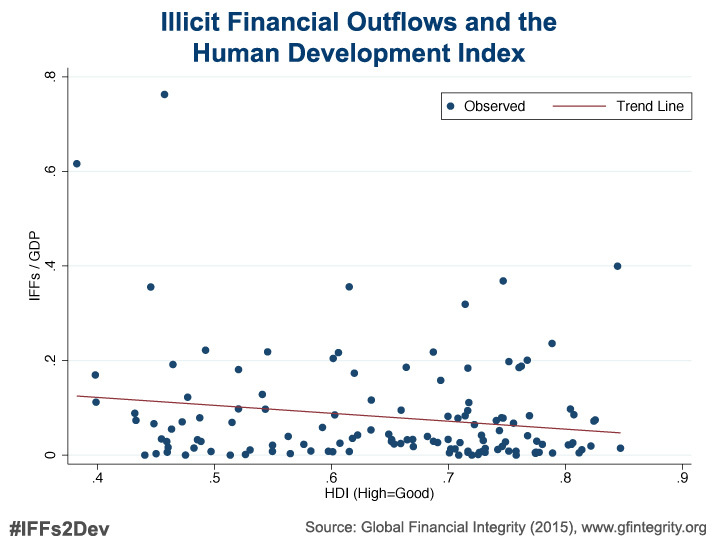 The authors additionally find a disturbing correlation between illicit financial flows and 1) higher levels of poverty, 2) higher levels of economic inequality, 3) and lower levels of human development, as measured by the United Nations’ annual Human Development Index. “Higher illicit outflows aggravate poverty, exacerbate income inequality, and erode human development in the world’s poorest countries,” added Mr. Spanjers. Additional correlations are found between higher relative levels of illicit financial flows and trade openness, tariff rates, and the efficiency of customs. 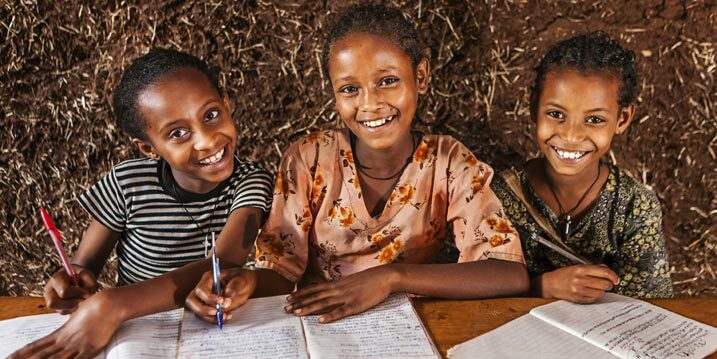 The report lays out several policy recommendations, and puts a particular emphasis on the outcome of next month’s Third Financing for Development (FfD) Conference in Addis Ababa. “We look forward to a robust agreement that: 1) mandates the IMF to regularly measure trade misinvoicing levels from all developing countries; 2) commits the world community to halve trade misinvoicing in all developing countries by 2030; and 3) requires donor countries to provide financing for trade pricing databases and training in customs departments so poor nations can stop misinvoiced goods before they leave the ports. It’s simply impossible to produce a credible FfD Outcome Document that doesn’t commit to measuring and reducing trade misinvoicing by an explicit percentage,” added Mr. Cardamone. 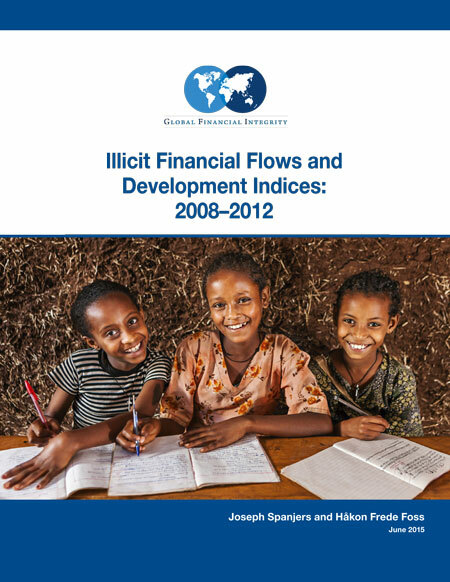 Funding for the new report, “Illicit Financial Flows and Development Indices: 2008–2012,” was generously provided by the Government of Finland. More information about the GFI report—including Excel files with the report’s data—is available on the GFI website here. A PDF of the full report can be downloaded here [PDF | 2 MB]. To schedule an interview with Mr. Cardamone or Mr. Spanjers, contact Clark Gascoigne at cgascoigne@nullgfintegrity.org / +1 202 293 0740, ext. 222 (Office) / +1 202-815-4029 (Mobile). On-camera spokespersons are available in Washington, DC. Please use the #IFFs2Dev hashtag on Twitter and social media to discuss the report.